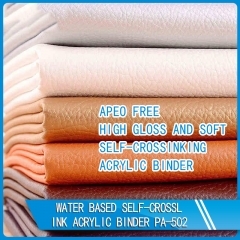 Soft Self-crosslink Acrylic Binder endows the leather with natural look. 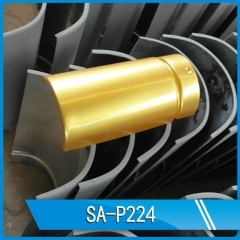 The resulted film has high gloss and very good mechanical stability. 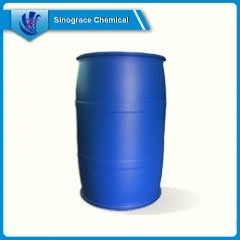 SA-P223 is composed of special crosslinking monomer polymerization. Apply to colored stone tile surface protective glue layer, improve the colored stone tile brightness. 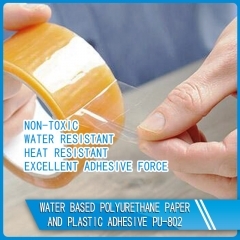 Excellent adhesive force, water resistant and weatherability. 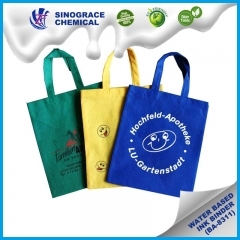 Non-toxic and eco-friendly. 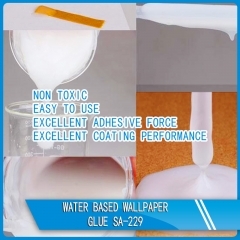 It is water based acrylic emulsion copolymer is designed for wallpaper glue. 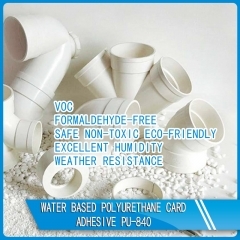 High adhesive force, good flowability and coating performance. Non-toxic and eco-friendly. 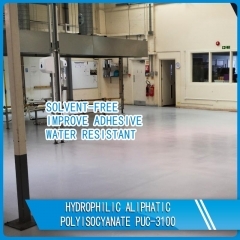 It is water based acrylic emulsion copolymer is designed for trademark glue. 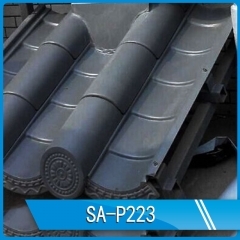 High adhesive force, good flowability and excellent weatherability. 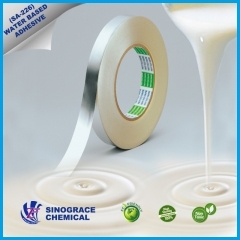 High adhesive force acrylic emulsion is designed for fiberglass mesh manufactural process. 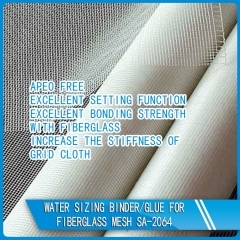 It has excellent positioning functions and improves the stiffness and lifetime of fiberglass mesh. 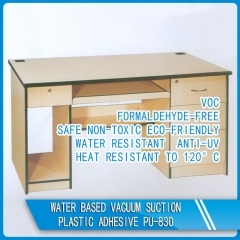 Good water resistant, fast drying speed, excellent anti stripping performance. 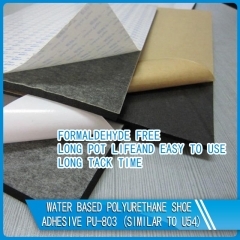 Water based composite adhesive is non-toxic, VOC free and formaldehyde free, it is designed for PVC, PP, sponge, paper, cloth, can be also used for high grade composite fabric, car interior decoration, bags, paper bags, etc. 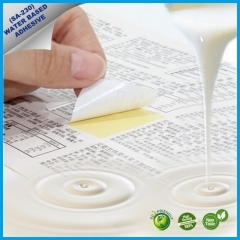 Water based acrylic adhesive is designed for aluminum foil. 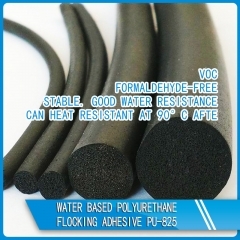 High adhesive force, good flowability and low temperature resistant. 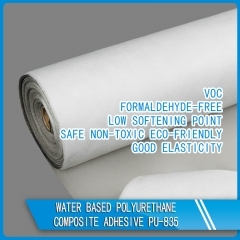 It is suitable for aluminum foil laminating various type of film (Paper, BOPP and PET etc. ).